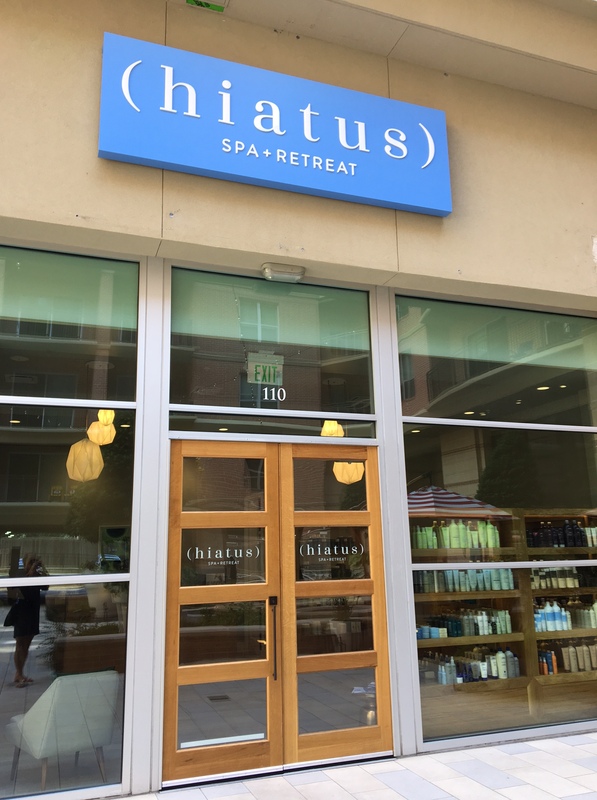 If you follow any number of local bloggers or social media outlets, then you know there’s been a lot of buzz recently about the first location of Hiatus Spa + Retreat opening up in Houston. 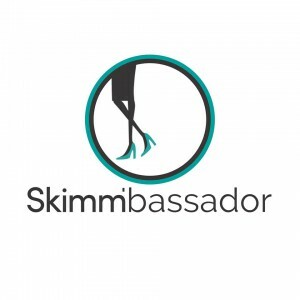 This hook for this Dallas-based company is the membership package for people who regularly patronize spas. For $69 per month, you get a choice of one of their “essential” services with additional discounts and upgrades. Looking at the essentials list you’ll see the usual suspects: massage, facial, and mani-pedi. But then there’s this odd service listed at the bottom: Body Glow. As I had wanted to check out this new spa, this bizarre service peaked my interest. The description on the website gave more questions than answers: “Want to look lit from within? 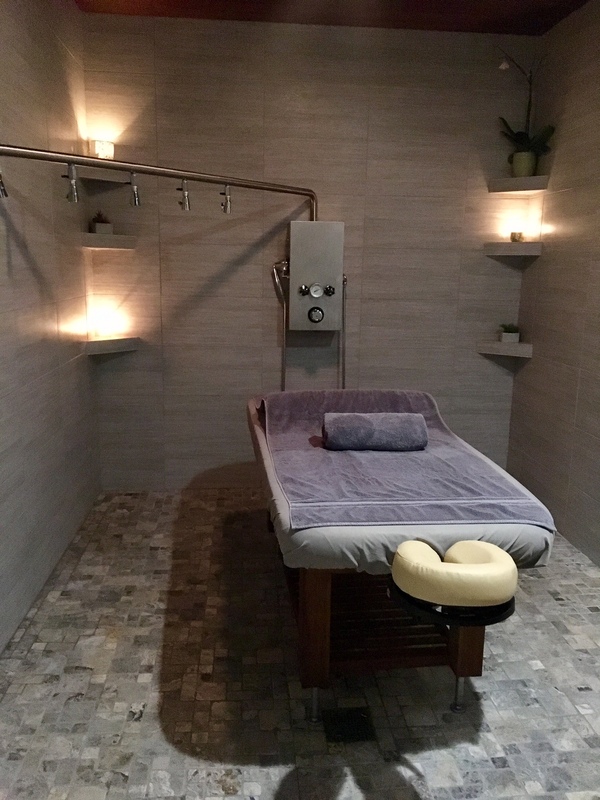 In this 40-minute full-body renewal the entire body is polished with essential oils and dead sea salts to invigorate and cleanse, followed by a rejuvenating rainfall Vichy shower in the hydrotherapy room.” I’m going to be polished? What’s a Vichy shower? 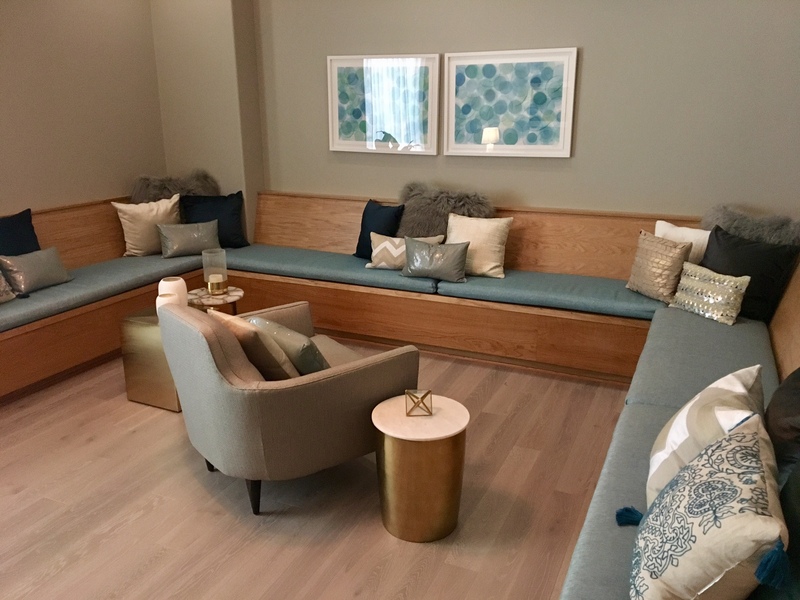 Once robbed up, I was escorted to my hydrotherapy room *oooh ahhh* where I promptly disrobed and laid down on what I came to learn was a water-proof massage table. The room itself could best be described as a cross somewhere between a sauna, a shower, and a cave. It was dimly lit with dark stones and had a moveable sprinkler shower head that could swing over the table. To kick off the service, the aesthetician waved three Aveda essential oils over my nose so I could smell and select which one I wanted. I can’t tell you which scent I choose, but I do remember it was best for stress relief (oh, the irony). I then closed my eyes and let the aesthetician go to work. Using a combination of oils and salts, she gave my bod a nice massage. The music in the chamber (yes, chamber is the perfect word to describe it) alternated between soothing tones and ocean-y sounds. I could have easily fallen asleep as she exfoliated my skin. That is, until she turned on the shower. By this point in the service, my hair and head were wrapped up in a nice towel and she turned on that long sprinkler/shower head thing to rinse off all the salt scrub. Weirdest experience ever. I can’t see anything and my whole body is wrapped underneath a towel. The body towel gets wet as the water literally just splashes all over the table and floor. Obviously there’s a drain, but at the end of it, pretty much everything in the room is wet–including the aesthetician. Somehow my robe manages to stay dry and my extensions from Amazing Lash Studio are still intact–so I’m happy. Also, my skin is definitely glowing. All the dead stuff has been gently scrubbed and rinsed away. I may have lost a bit of my summer tan due to the exfoliation, but I could definitely feel the newfound softness in my skin. I definitely foresee myself going back to get the Body Glow as a perfect for a mid-winter pick-me-up. Tags: Aveda, Body Glow, exfoliate, Galleria, Hiatus, Massage, spa, Tanglewood. Bookmark the permalink. According to the Best Spa in Houston. 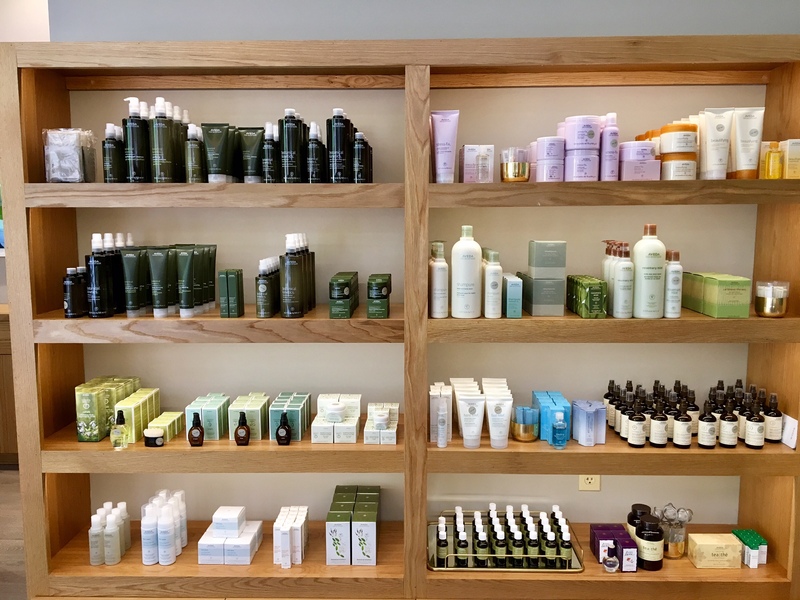 Who might not want to unwind and be pampered Skin wellbeing is frequently set aside for later. Numerous individuals feel like they are excessively caught up with, making it impossible to center around healthy skin. Others may feel that their skin watches awesome and quit finding a way to nurture their skin since they figure they needn’t bother with it.? 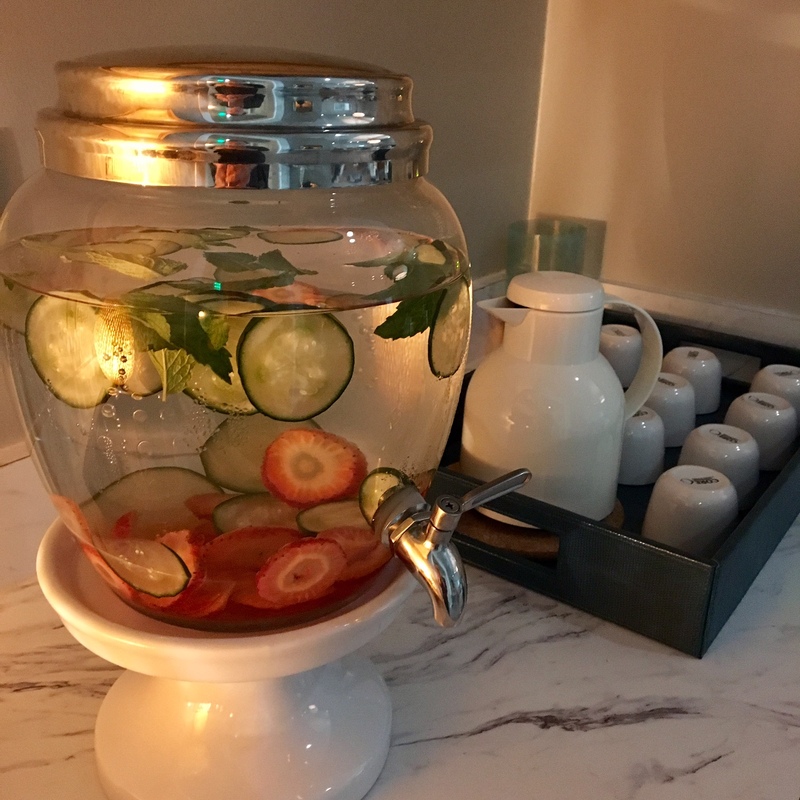 The best place in the event that you wish to do as such is a spa and health focus. They are ending up exceedingly mainstream with the two men and ladies.